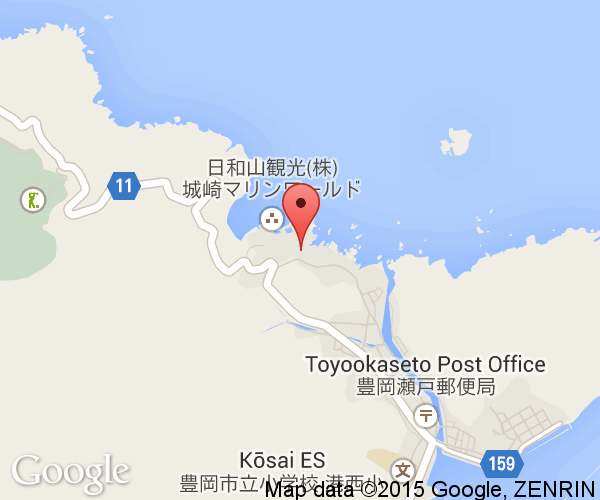 Kinosaki Marine World is located on the Japan Sea's (East Sea) scenic Hiyoriyama Coast (日和海岸) in Hyogo Prefecture. The aquarium has made a name for itself with its innovative showcasing of its marine mammals and spectacular effects in its main show. The name is from the nearby Kinosaki Onsen which has existed for over 1500 years since the Heian period (794-1185). The aquarium is over a two hour drive north from Osaka and Kyoto which unfortunately puts it quite far out of the way. 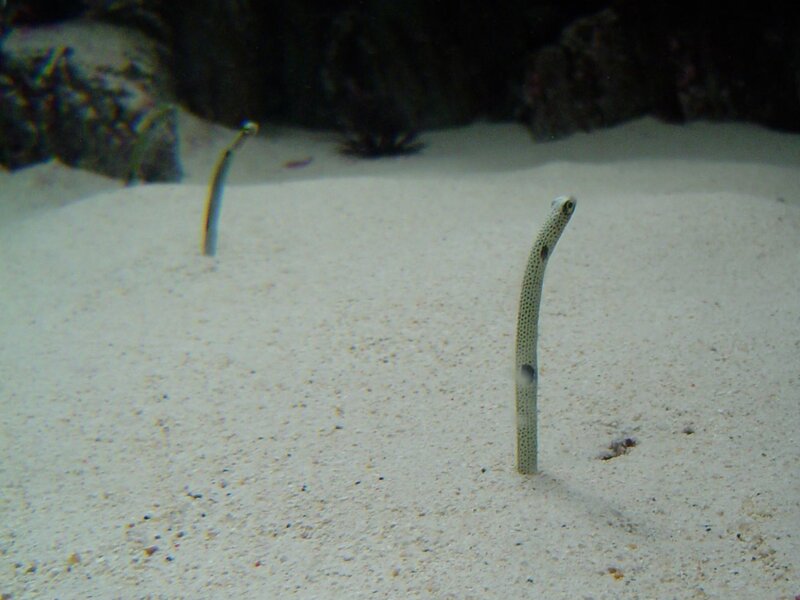 In fact, one can't help but wonder, on the way there, if there really is a large aquarium in such a small and otherwise unimportant village until you're actually there. 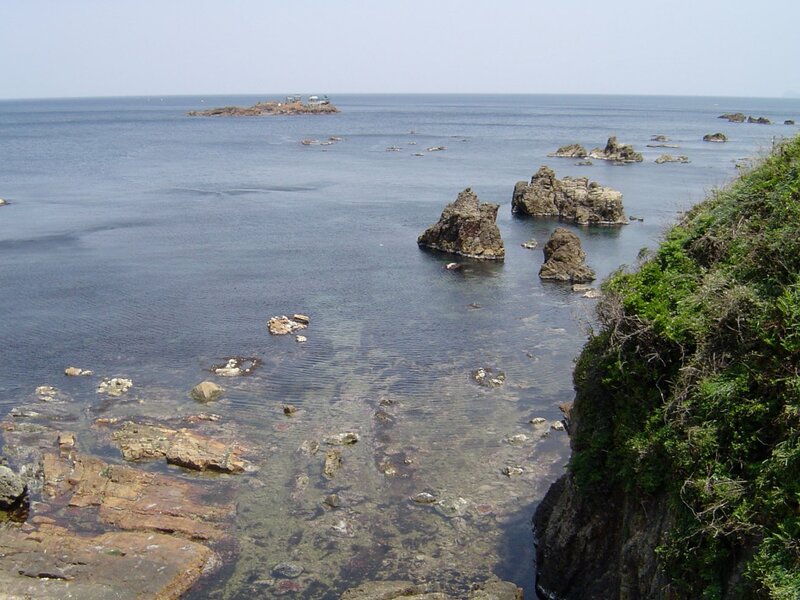 Well, to be fair, the Hiyoriyama Coast is quite beautiful and many people come to see the local scenery. The aquarium is spread over a large area along the coast but has far less total fish and tanks than equivalently sized aquariums. Its focus is more on larger marine mammals and shows. 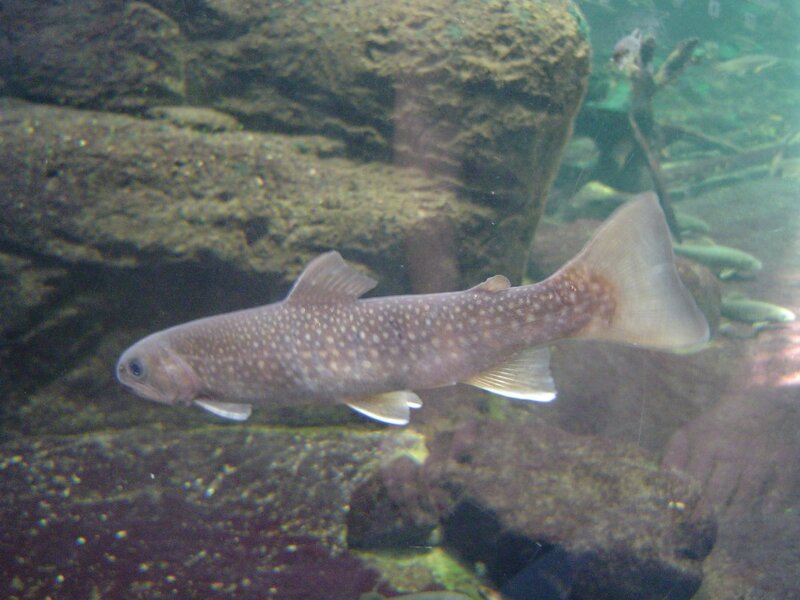 In any case, the aquarium tour starts with a good assortment fish in a bright, sunlit tank. The path winds by their largest tank (three stories) and on to a number of loosely divided sections. Honestly, the first section was a bit underwhelming compared to other modern aquariums in Japan. The aquarium's three story tall tank was impressive enough but the path curves around it instead of at it for more impact. Large areas of unused wall space and below average sight lines hurt what is otherwise a good collection of fish. Most of the other main exhibits and aquatic mammals are located outside the main building. 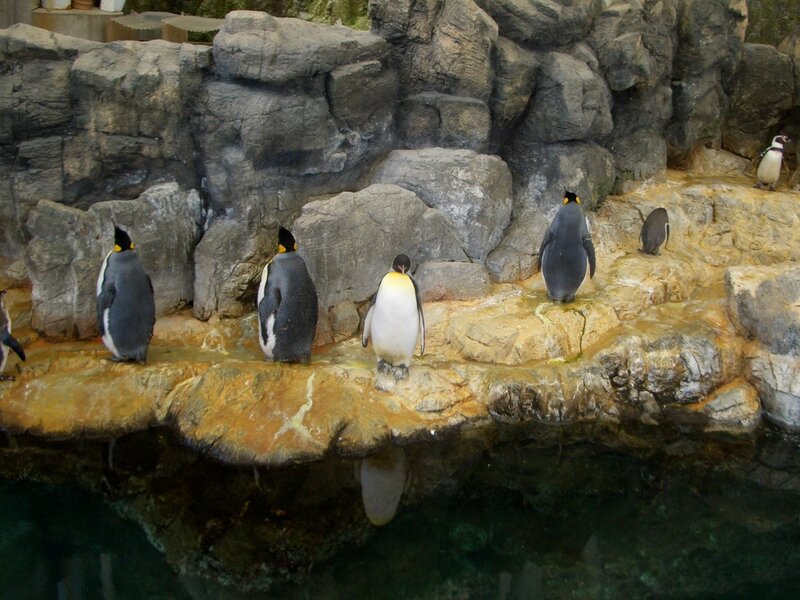 Penguins, dolphins, and seal lions all play out in the sun. As you walk around to the DIVE building and main show arena you'll have plenty of views of the Hiyoriyama Coast. Bring a lunch or buy from one of the concession stands and enjoy it out on the concrete encased coast line. The main show in the large SeaLand Stadium is a 30 minute production that runs like a high quality amusement park live show. The show packs a surprising amount of well timed pyrotechnics and water effects. Hardly a good science lesson but the other shows bring that to the table. 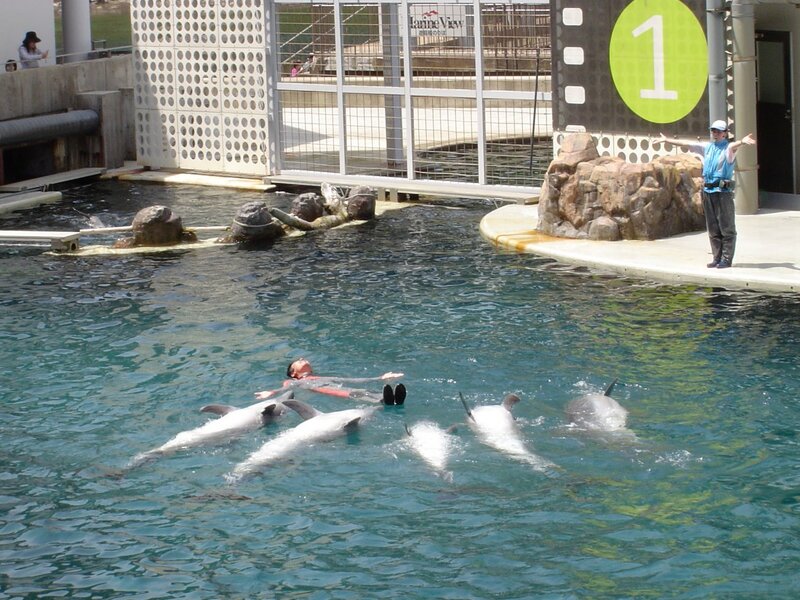 The Dolphin Tank, a smaller enclosed stage, which is past the main stage brings the aquarium's dolphins to within touching distance of visitors. The dolphin "Live Stage" show takes place 10 minutes after the main show and offers a very close and personal way to learn about them. Dive is an innovative building which puts visitors in the middle of a doughnut shaped tank. The tank was designed to give the experience of being underwater with the dolphins without getting your feet wet. An additional fee (500 or 1000 Yen) is charged to take part in the shows which are open to groups of up to 20. The ultimate adventure, swimming with the dolphins, will cost you 5,000 Yen and requires preregistration around a month in advance. In case aquarium displays have you thinking about having an impromptu sashimi dinner with the exhibits, Kinosaki Marine World is one step ahead with their fishing pond. Here, you can try your luck at taking home a piece of the aquarium. Catching something shouldn't be too hard as the pond is stocked with fish that would jump into your hands given half a chance. 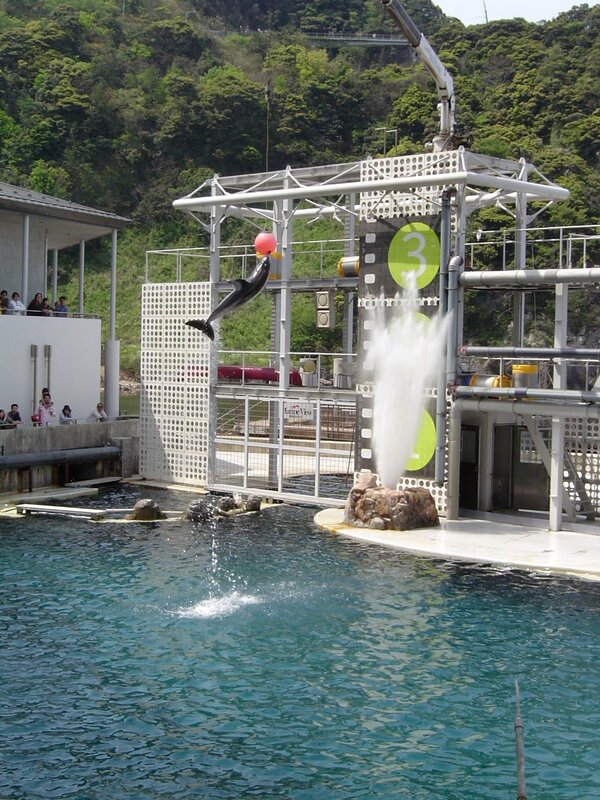 Kinosaki Marine World is located in the recently amalgamated Toyoka City, Hyogo Prefecture on Honshu's north coast. 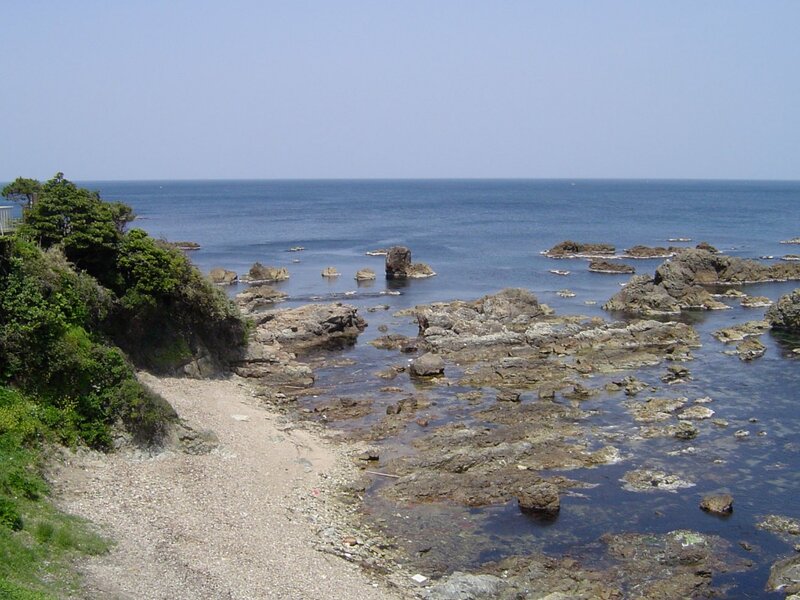 Besides the aquarium, the Hiyoriyama Coast and Kinosaki Onsen are popular area attractions. Boat rides which leave from near the aquarium take people to a viewing platform off the coast. Kinparo Hotel is next to where the aquarium was built beside the ocean. 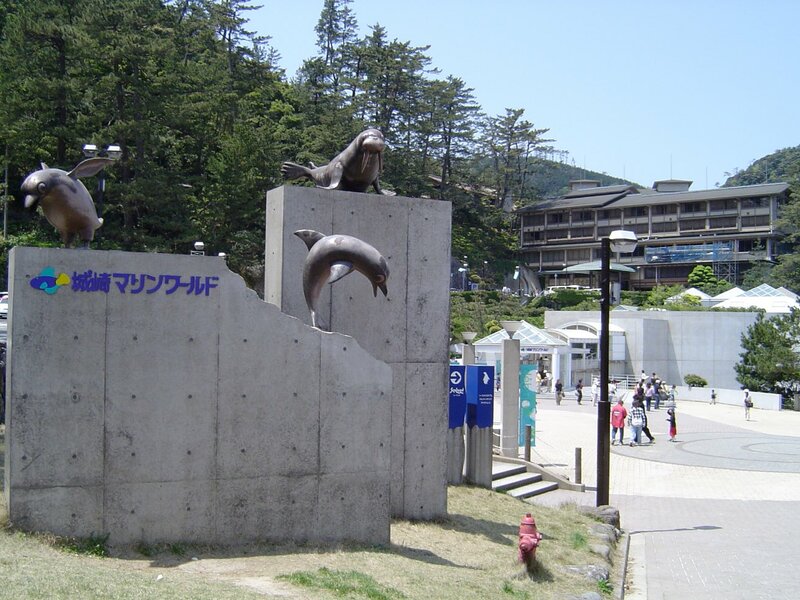 The closest train station is JR Kinosaki-Onsen Station and a 15 minute bus ride takes people from there to the aquarium. Local and limited express trains travel to there from JR Himeji Station. Local trains cost 1,890 Yen (around 3 hours) and limited express trains are almost twice as expensive (under 2 hours). By car, it takes over 2 hours from Osaka or Kyoto when using the toll expressways. The final stretch of road through the village (and the available parking) was never intended to handle traffic the aquarium generates. 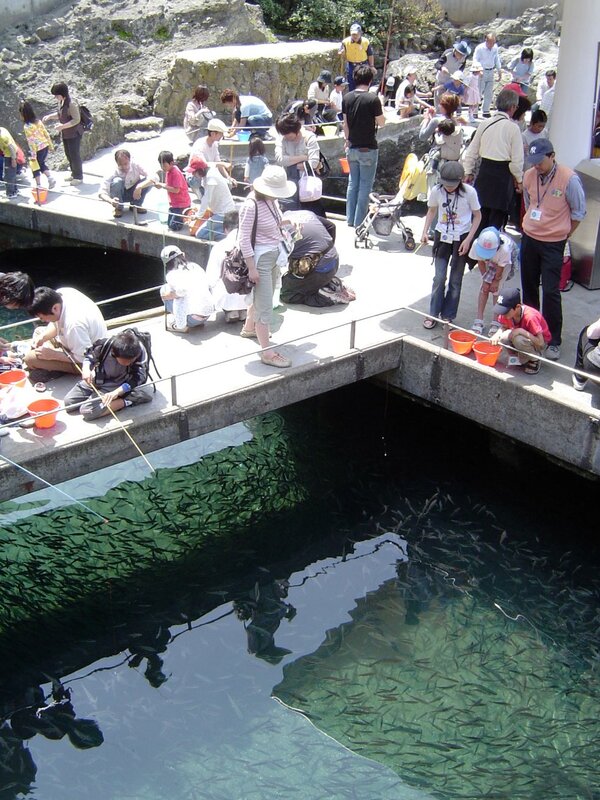 Expect long waits on Golden Week and approach from the east to bypass most of the line of which extends for kilometers away from the aquarium.